Sometimes we get calls at the office for a quote on a new air conditioner over the phone. While we can appreciate that you may be busy or don’t want to deal with high-pressure sales tactics, give us the opportunity to explain why we can’t give you that quote and why it is in your best interest not to accept a blind quote over the phone from other HVAC contractors. Our job is to give you all the information you need to make an informed buying decision. A properly done load calculation is possibly the one most important steps in determining the best HVAC system for your home. Contractors that quote over the phone use “rule-of-thumb” calculations to determine which system may fit your home. What we find is that most newer homes have loads of 800 square feet per ton or more. Well designed high performance homes can be as high as 1500, 2000 even 2500 square feet per ton. That means that a contractor using 500 square feet per ton “rule-of-thumb” is installing an air conditioner which is 2, 3, or even 5 times larger than it should be. 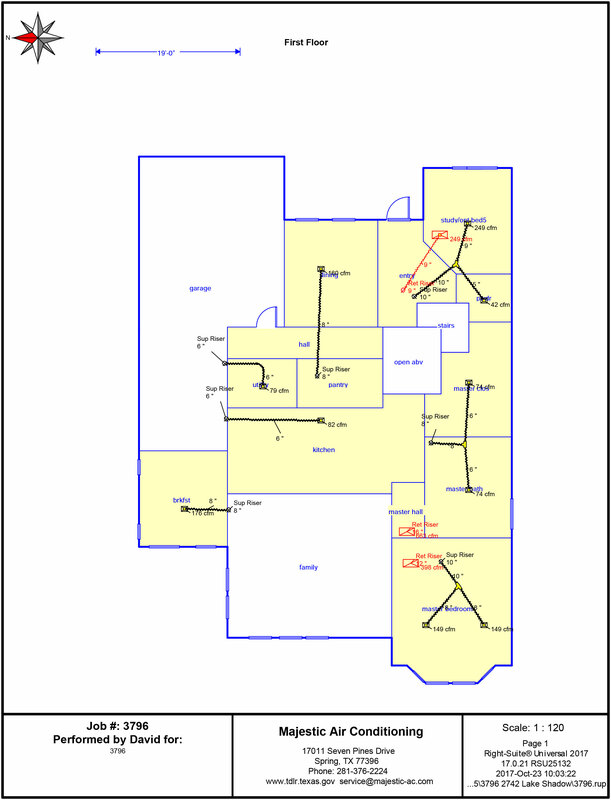 Majestic AC System Design Consultants will perform a proper load calculation and design a system that will work at maximum efficiency and optimized for longer equipment life and energy costs. The load calculations will determine the best fit system for your home so you can be assured that you are purchasing just the right size for your home and not wasting you money on larger systems that are more costly. The right system for your home will run more efficiently and maximize equipment life because it is working in optimum conditions. Longer equipment life means you don’t have to invest in a new system for many years to come. A properly designed and installed HVAC system will work reduce your energy costs. HVAC systems are typically 50-60% of your electric bill, so its important to have a system that works efficiently and effectively. While sizing your HVAC equipment is a process that’s based on scientific principles, it is, nevertheless, an inexact science — and that’s precisely why you need to be working with a company that has years of experience in the field and has a specialized design team in place. Because so many different factors combine to create the specific heating and cooling environment of every home, HVAC system requirements will vary widely. 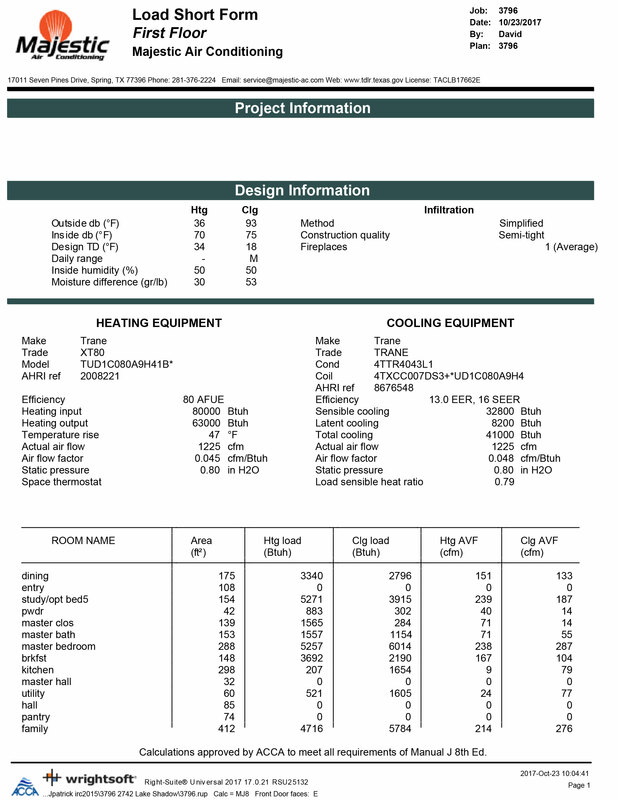 Cooling and heating load calculations are a key variable in the sizing equation — one that’s been carefully designed to determine the best system for your family’s needs. When used by an experienced and conscientious HVAC professional who takes a serious personal and professional interest in getting it right, this detailed approach to equipment sizing should succeed in helping you acquire a system that will serve you well for years to come, providing energy-efficient operation and optimal comfort for you and your family.